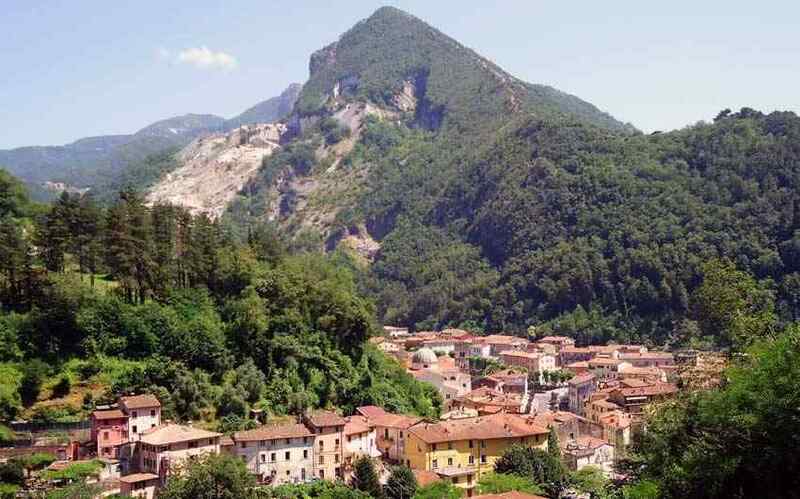 It is a city located and delimited by the Serra and Vezza torrents, at the bottom of the Alpi Apuane and at the bottom of a rather steep valley. 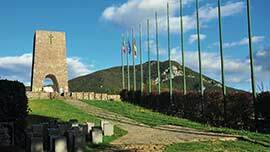 The territory of the city borders with Stazzema on the North-East and with Pietrasanta on the South-East. 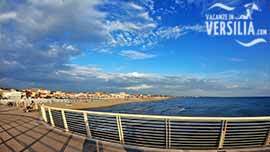 It is 7 Km from Forte dei Marmi, 3 km from Pietrasanta and 12 km from Stazzema, with which it is connected by bus lines. The nearest train station is at its hamlet Querceta. It is also close to the motorway A12 , through its Versilia exit. The provincial road which goes up to the Apuane, all the way through to Castelnuovo Garfagnana, goes through it. Various tracks start from this provincial road and allow to tour the surrounding Alpi. The origin of its name, as could be expected, doesn’t come from the union of the two torrents which surround it, on the contrary In fact, the origin of its name comes from the Longobarda people and language and is made of Sala and Vetizza, where Sala means large room or court and Vetizza is the transformation of the first name Vetizzo. The city of Seravezza is made of the principal town of the same name, the mountain hamlets of Azzano, Fabiano, Giustagnana, Minazzana, Basati, Cerreta S. Antonio and Cerreta S. Nicola; the hamlets located in the alluvial plain of the Versilia : Ripa, Pozzi and Querceta; and the hamlets of the bottom of the valley: Riomagno, Ruosina and Corvaia. The city of Seravezza is historically divided in 7 districts which annually fight for the Palio. The districts are: Cervia, Leon d'Oro, Lucertola, Madonnina, Pozzo, Quercia and Ranocchio.